2. The 3 phase stator slot cell insulation machine is suitable for small and medium-sized three phase motor, gasoline generator, etc. 3. Operation is very simple. 4. The stator paper inserting mahcine will automatically inserting. 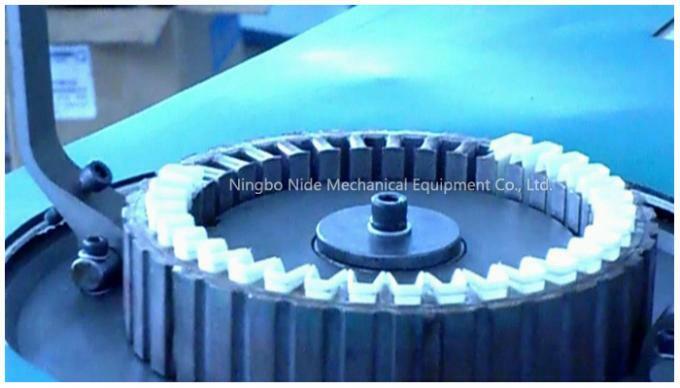 5. it is convenient and easy for different slot number stator production and changing tooling. Stator Insulation Paper Inserting Machine is suitable for small and medium-sized three phase motor, gasoline generator,etc. 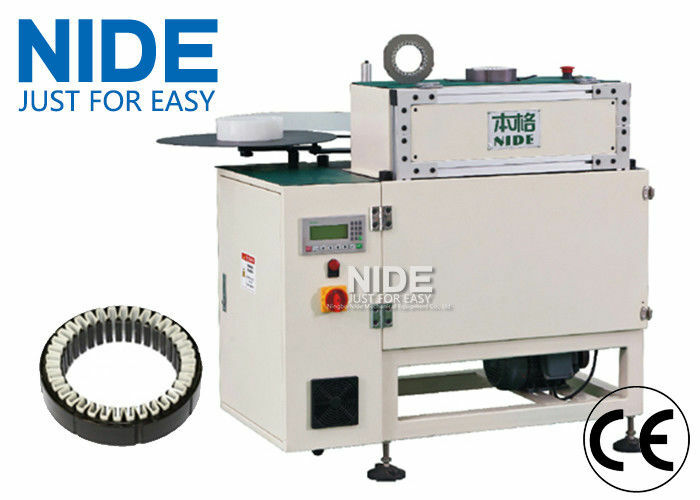 Inserting insulation paper automatically from bottom of stator slot;automatic paper feeding, edge folding and forming;characterized by low noit is conveient and easy for different slot number stator production and changing tooling.ise,fast speed, excellent forming, etc. ; slot number change is controlled by electric; interval slot inserting and skip slot inserting could be at option. Operation is very simple, load empty stator manually, press start button, it will indexing and insert paper automatically, unload finished stator manually, then one cycle is finished. 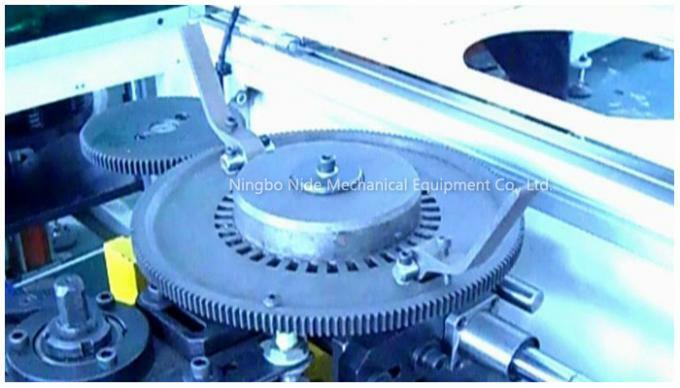 Edge folded, paper feeding, cutting, forming and inserting are achieved through mechanical transmission, link mechanism and eccentric wheel, and machine will stop automatically after finishing above process. High automation, simple operation, and improve working efficiency. 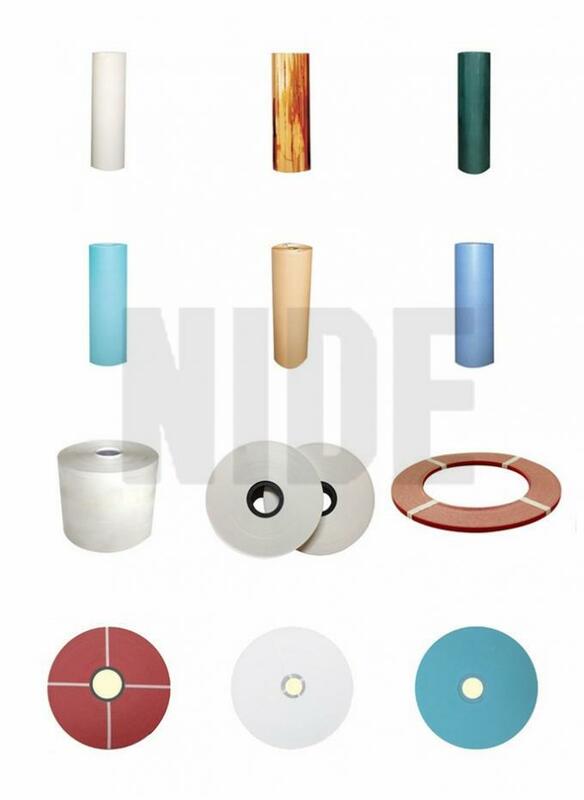 Besides the paper inserting machine, we also supply insulation material for stators or armatures, with different thermal class and dimension.